Looking to get involved? 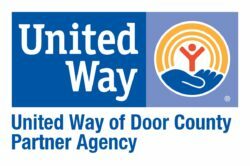 Whether you’re interested in enrolling your child, donating or stepping up as a Big, we're here to help children of Door County discover their biggest possible potential. Expanding our services to children and families of Door County in 2001, Big Brothers Big Sisters continues to grow and expand services to this natural resource and water rich region of Wisconsin. In 2018, we served 131 children (83 female, 48 male) in Southern Door, Gibraltar, Sevastopol and Sturgeon Bay, with new services beginning to develop in Washington Island. Fundraising activities and community engagement are lead by a nine-member Advisory Council of local community members.